Texas A&M University's Mays Business School educates more than 5,000 undergraduate, master's and doctoral students in accounting, finance, management information systems, management, management, marketing, and supply chain management. The school consistently ranks among the top public business schools. Mays Business School partners with national and regional business executives to deliver relevant education shaped by industry expectations and insights. Mays' home in the Wehner Building offers a dynamic learning environment for faculty and students, featuring interactive teaching tools, wireless Internet throughout the building and multiple computer labs. Mays is accredited by AACSB international, the premier accrediting agency and service organization for business schools. Our mission is to create knowledge and develop future ethical business leaders for a global society. To see how we are progressing toward these goals, review our recent achievements. 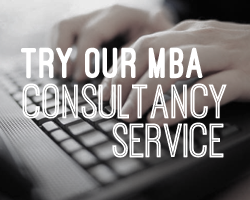 If you're considering Mays for your studies, we encourage you to get in touch and find out why Mays is one of the country's premier business schools. At Texas A&M University's Mays Business School, our mission is to create knowledge and develop future ethical business leaders for a global society. Provide undergraduate, master's and doctoral students with an environment that focuses on all dimensions of learning – knowledge, understanding,skills, behaviors, values, and attitudes. Create and disseminate knowledge on important business issues through publishe dresearch, innovative learning experiences, and involvement with theconstituents we serve. Serve society through the exchange of ideas and practices. Practice ethical leadership by managing our resources effectively and efficiently. Foster a culture of excellence, inclusion, collaboration, and respect for diverse ideas. Assess and reflect upon the attainment of our goals, resulting in continuous improvement of our practices. Fill out your details to get in touch with Mays Business School at Texas A & M University and find out more about their programs.